We want you to enjoy exploring our website and want you to appreciate what we have to offer in quality and craftsmanship. This heavy-duty decorative corbel will bring amazing results to your countertops, mantel, shelving or other solid support need. 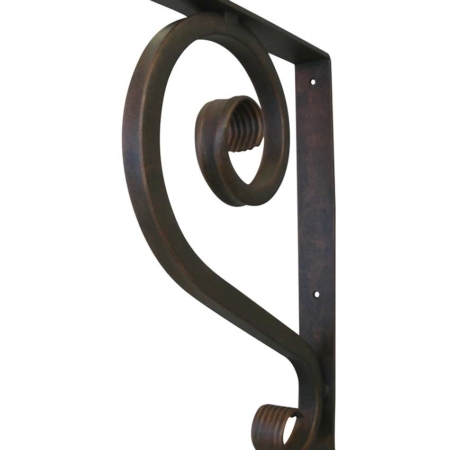 A contemporary style in a heavy-duty decorative corbel always proves to be a good choice. Heavy-Duty Decorative Corbel making countertops, mantels or shelving look amazing. A heavy-duty decorative corbel with artistic design for making countertops, mantels, and shelving reflect your taste and style. Perhaps, you have known someone who is struggling to see objects clearly but seemingly not able to. And, by handing him or her your glasses surprisingly their blurred vision cleared up? 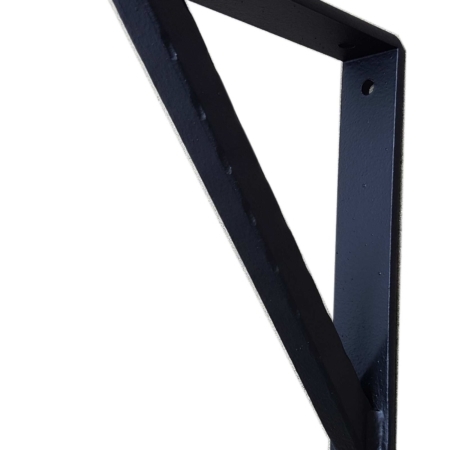 Well, that’s how we describe our iron angle brackets. So, until you install them under your countertop, mantel or shelf you just can’t see what a difference an artistic functioning product can do for your project. And, in the end, your vision for a beautiful result will come true. 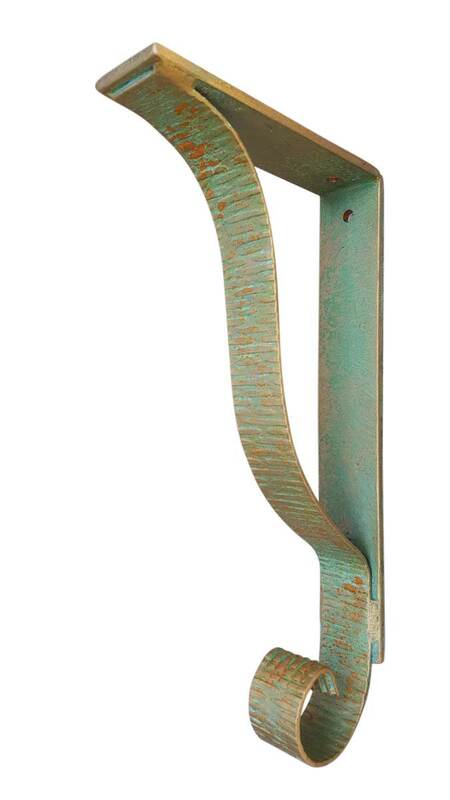 Since this corbel is made of solid heavy-duty iron it is a decorative metal bracket designed for strong support. And, at the same time brings design, form, and function while expressing your style and taste. If, by chance, this is your first time to our website we would like you to explore around, check out the available sizes, shapes, and finishes offer you. At the same time, take a look at the testimonies from our customers. For instance, Vince R., Simi Valley, Ca. wrote, “Looking for a nicer counter support than the typical wood or simple metal. Janis answered the phone after hours on Saturday and took my order. Finished over the weekend and had them shipped out on Monday! The quality and service could not be better. I’ve shared this with several designer friends already.” Therefore, with this comment we want you to feel confident placing your order with us. FREE SHIPPING on all iron mantel brackets shipped in the Continental U.S.A.
Additionally, when ordering brackets, your top support bar should be 1-2 inches shorter, than the depth of the surface it is supporting, for the best support and appearance. And, as rule-most surfaces need 1 bracket per every 24-30 inches for proper support. In conclusion, we understand craftsmanship is different from mass production and each of our products is handmade and hand finished here in our studio. In fact, being handmade makes our iron products unique and different. 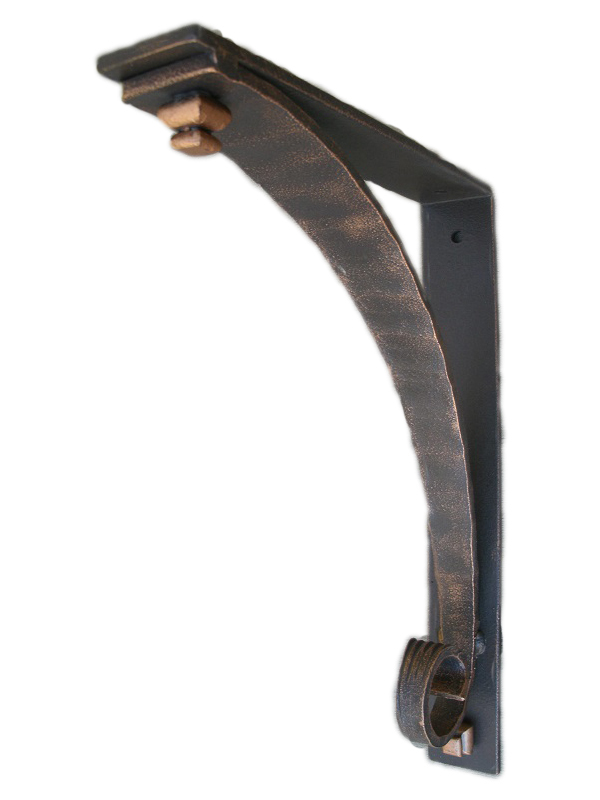 Because no two corbels or brackets are exactly alike, we know you will appreciate iron products with such character. Do you have a question? Just pick up the phone and give us a call. We look forward to working with you on your project. If you just need more clarity about a corner shelf bracket or want to place your order over the phone we are glad to assist you with that. 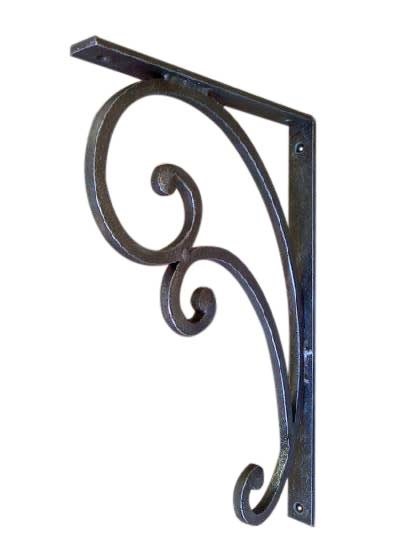 Large Wrought Iron Corbel for Granite Countertops Small Wrought Iron Candle Sconces-Pair Priced to Sale!